Inc. Magazine announced on Wednesday, August 17th, that Nuventra Pharma Sciences — the pharmaceutical industry’s go-to resource for clinical pharmacology, pharmacokinetics and pharmacometrics — has made the 2016 Inc. 5000 list. This marks the third year in a row that Nuventra has been recognized as one of America’s fastest growing private companies. 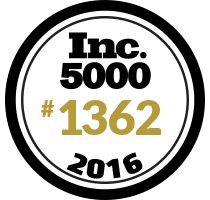 This year, moving up on the overall list to rank number 1,362 compared to number 2,180 last year, and 1,903 in 2014. This year, Nuventra is also the fifth fastest growing company in North Carolina’s health sector. Nuventra continues to grow with offices in drug development hot spots such as, Durham, NC; Philadelphia, PA; and Denver, CO. Nuventra is extending its reach as well as its ability to provide expert PK/PD services to the pharmaceutical industry. This accomplishment reflects tremendous hard work and dedication to meeting our client’s needs. Founded in 2008, Nuventra is the pharmaceutical industry’s go-to resource for clinical pharmacology, pharmacokinetics, and pharmacometrics. Nuventra gives pharmaceutical companies and CROs rare access to a hands-on team of industry-leading consultants experienced in complex studies and analyses. We embrace the notion that simplicity and clarity lead to good decisions by taking complex pharmacokinetic and pharmacometric principals and making them understandable and usable for common sense drug development. Nuventra’s flexible business structure enables us to integrate with our clients and help them maximize the potential of clinical pharmacology studies and pharmacokinetic analyses to pave the way toward marketing approval.